The construction of Highway 30 consists of two separate sections totaling over 54 km of highway. The western stretch consisting of 42 km of road was entrusted to the NA30 Joint Venture. 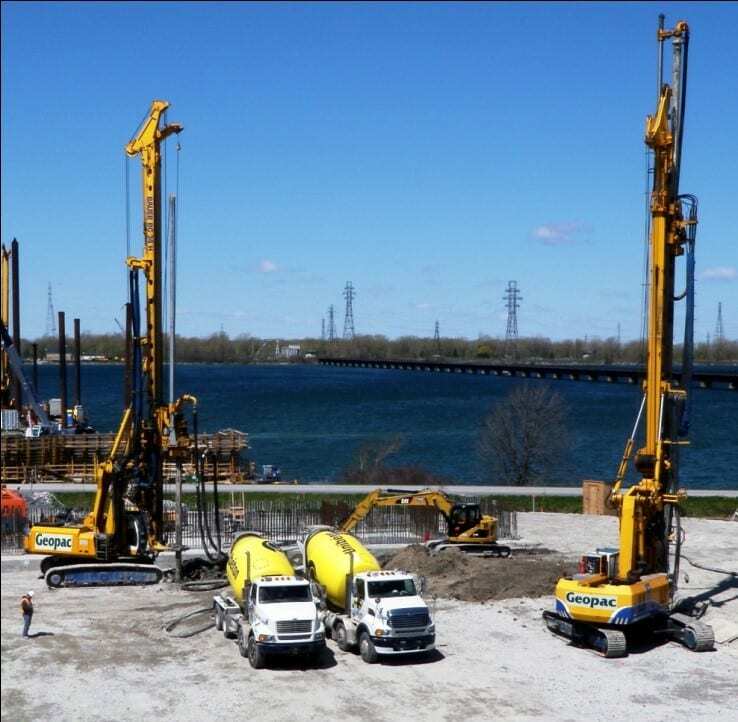 Menard Canada’s mandate was to reinforce the underlying soft soil of the access embankment to the bridge on Beauharnois river. The embankment was also to be used as a platform for launching the elements of the bridge during the construction period. 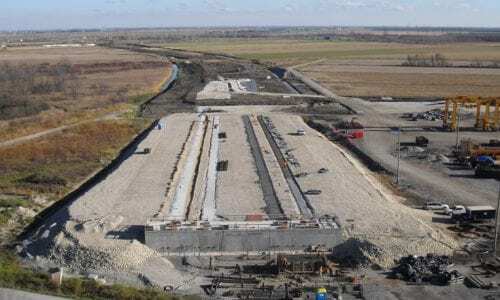 The proposed solution was to install dense semi-rigid elements, Controlled Modulus Columns (CMC), through the thickness of the clay in place (about 16 to 18 m) down to the till. The CMCs had a diameter of 420 mm and were layed out on a square grid. In order to complete the work within the time allowed, two production rigs carried out the installation of the 3500 CMCs. During the launching operations, a settlement monitoring program was carried out. Settlements were found to be between 16 and 26 mm, and were less than the anticipated 47 mm settlement (calculated using the finite element method).